On April 25, K-State baseball head coach Brad Hill led his team to a 5-3 win over Baylor in Waco, Texas. The win helped set up a rubber match the next day, which the Wildcats won to clinch the program’s first series win in Waco, Texas. However, the weekend will forever be remembered as the 800th win in Hill’s storied 20-year head coaching career. Hill is a Kansas native, having grown up in Galva, Kansas – a small town roughly 10 minutes off of I-135 near McPherson, Kansas. There, Hill was a 1980 graduate of Canton-Galva High School where he played three sports. 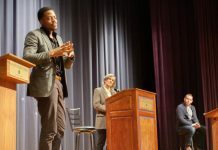 Hill became an Emporia State Hornet following high school, playing baseball and earning a degree in health and physical education. He is enshrined in the Emporia State Athletic Hall of Honor after a four-year career led to shattered records, including many that still have Hill’s name on them: games played, at bats, hits, RBIs, doubles and home runs. Roughly 10 years later, after a successful head coaching stint at Hutchison Community College, as well as four seasons as Kansas’ hitting coach and recruiting coordinator, Hill took over at Division II Central Missouri State (now University of Central Missouri) in 1994. 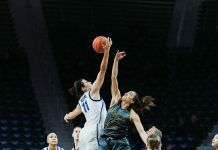 Hill and the Mules went on a tear, winning eight-straight Mid-American Athletic Association conference titles while earning nine postseason appearances. Central Missouri State made seven trips to the College World Series under Hill, including an appearance in the title game in 2001, a third place finish in 2002 and a National Championship in 2003. Hill’s 418-91 record over his nine-year tenure was impressive enough for him to be elected to the MIAA Hall of Fame in 2014. 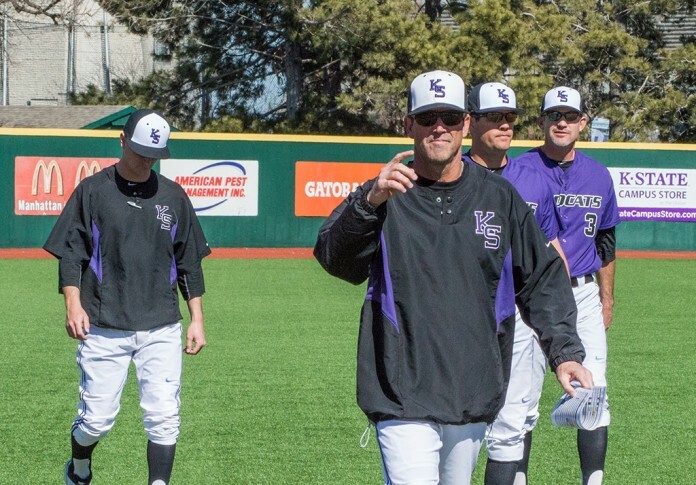 While Hill’s stock rose at Central Missouri State, K-State baseball in the mid-to-late ’90s and early 2000’s was down. The program had six-straight seasons finishing near the bottom half of the Big 12 table, and only recorded one winning season from 1998-2003. Hill and the Mules put up a .838 winning percentage in that same time frame. In the summer of 2003, the powers that be in Manhattan made the call for a coaching change and Hill was given his first Division I head coaching job of his career. K-State football head coach Bill Snyder might be first person that will come to mind for many sports fans when the words “turnaround” and “K-State” are used together. Hill, however, didn’t need long show that his coaching hire was well worth it either. In the 2004 season (Hill’s first), K-State ranked 30th – the first ranking in school history. 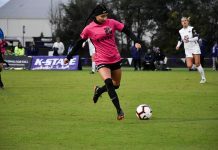 Every year, the team showed steady signs of improvement leading up to the 2009 season where, after being picked to finish ninth in preseason polls, the Wildcats won a school-record 43 games and earned a NCAA Regional berth – the program’s first. Hill received his first Big 12 Coach of the Year and ABCA Midwest Region Coach of the Year honors after that 2009 season. Two-straight regional trips and a late push to make the 2012 Big 12 Tournament later would lead K-State to the precipice of Hills’ achievements in the 2013 season. 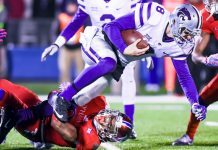 Hill and the Wildcats won their first Big 12 Championship in school history and the first conference championship since 1933. The then team advanced to their first NCAA Super Regional where K-State came one game short of reaching the College World Series. Hill once again was awarded Big 12 and ABCA Midwest Region Coach of the Year honors. Though the last two seasons haven’t been up to Hill’s standard, K-State continues to earn awards and churn out MLB prospects. While Hill remains humble after crossing the 800 milestone, the progress made points to an important legacy — a legacy that shows the importance of what 800 wins means to a coach and program.